Good Design does not need to be complicated or involve complex procedures. Flexible, practical spaces which allow your building to provide all you need, not just today but for the future. We are all the same, our needs are similar, your home, in the right location can be adapted to suit all your needs and fulfil your dreams. Architectural Design at an affordable cost. No hidden extras , no cost for scheme amendments ever. Architectural Design our advice is free of charge. We have many years of experience, typically we are engaged on 2 or more new schemes each week. We are openly very optimistic, and we have a passion for functional architecture. Ideas delivered with flair and enthusiasm. We aim to please. We provide you with a fixed quote fee breakdown before we start. If we can think of 3-4 ways to achieve your dreams, on our first visit we usually find 3-4 more on our second! Whilst most of our work comes from personal recommendations, we are also proud to be offered commisions after clients have undertaken extensive research. Some clients choose us because they like our name – Cadmonkies a company name which is most unusual. We have recently completed many exciting projects for the YMCA, RSPB, Government Departments, Local and District Council, Local Schools, over the past few months. We don’t only undertake our own commisions we also have very close working partnerships with many other Architects, Design companies, Interior Designers, Structural Engineers and Architectural Design Companies. We are developing working schemes for major UK theme parks. With the ease of the global internet community we have current clients in the Barbados, USA, Ghana, and Europe. Architectural Design for greater London – Full flat turnkey refurbishment schemes undertaken. We have the full team of builders, interior designers, Structural Engineers and indpendant building control officers . Experienced in obtaining Landlord Licences. We embrace technology to be able to provide a very responsive and efficient service at a cost, which we believe to be the most competitive you may well find. We are Architectural Designers and Planning Consultants and we offer a comprehensive service at an affordable price. We are market leaders and currently enjoy the number 1 position on the search engine Google. – Try a search for “Architectural Design local” and see the results for yourself. Architectural Design Local, and an Architectural Design National service provider. The universal language of the world is a drawing. We are very passionate about our work, every scheme is as important to us as it is to you. We are dedicated to providing you with all the assistance we can. We undertake visits and surveys on any day or at any time of the week at no extra cost. We provide you with a fair quote which is based on the actual estimate of the work involved. For your complete peace of mind, we do not require any monies until all the plans have been completed to your satisfaction. No J ob is too small. Since Planning Applications have been made on-line via the Planning Portal – November 2008 – Cadmonkies have made a total of 3 Planning Applications per week. On average we undertake to make a Planning A pplication within 14 days of our Appointment. On average our total fees are less than £ 475.00. On average we gain Planning Permission 99.3% of the time on the first attempt. We are offering you a new concept in Architectural Services. We are practical professionals, who will only charge for the time taken to do the work. We can travel to you at a time which suits you, so relax, sit back and let us fulfil your dreams. What ever the scope and size and however complex your project might be – from – new dwellings, Extensions and Renovations and refurbishments, we would be happy to help in any way we can. We no longer use our drawing boards, ink pens or tracing paper. Technology has transformed our industry all our work is undertaken in our Studio, where we produce computer generated plans, which look just like they used to – but the new plans can be altered far quicker and emailed to all parties within minutes. As the amendments are so quick and straight forward there is no charge for amendments to your planning drawings. The time we save is passed directly onto you, as a cost saving. All our drawings can be printed at any requested scale, on most sizes of paper in Mono or Colour. Commercial buildings surveys and extensions. 3D modelling from AutoCAD supplied plans. Enhanced structual detailing and Calculation. We are able to offer on request a full Building Regulation package, which includes Building Regulation plans, Structural Design and Calculations, and all inclusive Building Regulation Fees. We have well established Local Building Companies who are always looking for new projects. The average cost of moving is in the region of £20,000.00 – an extension for a double bedroom with en-suite and new extended living Kitchen dining room with seating areas estimated at £ 35,000.00 – it makes real sense to invest in your existing home, and improving your quality of life, and adding a fantastic new space, plenty of light, fresh new ideas into your existing home. Most Single storey extensions may not even require Planning permission – let us come and visit your property and we can offer you some free advice. Extension plans prepared to your own design requirements. Land search for newbuild and home plans undertaken. Competetive fixed quotes, for all extension works. Best value from your local business. All works to local Authority standards, NHBC regulations can also be incorporated. We are now able to offer via our Master craftsman Contractors 10 year build Guarantees. Architecture is the art and science of designing buildings and structures – we can put it all in place for you. Looking for architectural services? Let us help you find your way through the Planning and Building Regulations process – we pride ourselves in gaining Planning Permission, and we hope to inject fresh and innovative ideas into your proposals. Cad and Autocad design works. cadmonkeys design suite. Full cad disk to disk operation. We undertake initial site visits with feasibility advice at no cost, this is then followed up by a Fixed Quotation. Visits to suit you including Saturday and Sundays, and evenings. We are a well established local business providing you with a flexible and very competitive service, cad plans no fees for amendments to planning drawings – good value and competetive. National coverage, several current schemes of varying sizes, all over the South including inner London. Professional Indemnity Insured with Norwich Union PLC in association with Griffiths & Amour Professional Risks Insurance Brokers. The Cadmonkies Partnership / Cadmonkeys is a Registered Partner Company with National LABC Services – District Surveyors Ltd – Local Authority Building Control Services. Cadmonkeys linked site national coverage. We are very proud to be a nominated website in association with The Daily Telegraph and netthe.net the professional web designers and web hosting managers – Mayfair, London. Due to Goverment Approval and recommendations we have experienced a 60 % increase in internet traffic over the same peroid last year. Windows Live rated 1st in the group “Architectural design good value” from over 5.65 million listings. 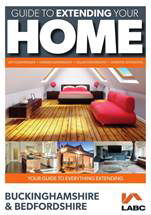 We take care of all your plans ,home plans,extension,architectural,drawings,plans, surveys,planning, building regulations,design,newbuild,commercial,residential,local,best value,competetive, architectural design,house plans, house designer,architectural design,house plans,house designer, house floor plans,house building,small house plans,dream house plans,bungalow plans, design services,kitchen design,modern design,farm house plans,building a house, and more.building regulations plans,building regulations plans. engineers, surveyors and other professionals within the built environment sector, are able to undertake Design consultancy. Have an uninsured consultant is like having an uninsured driver, whilst it may be cheaper but as you and investing in your home or work project is is not worth the risk. Cadmonkies continually updates and improves its websites each week, we would most welcome your comments and suggestions. Head Office : Cadmonkies, Studio ONE, 19 westminster Croft, BRACKLEY, NN13 7ED. : Cadmonkies , Studio ONE, Stanford Road, Merton, LONDON . SW16 4QH.